Another TL season over, so an appropriate time to look again at what Amateurs play in the opening phase in TL chess. Hardly changed over the seasons, as the Sicilian Defence is firmly rooted at the top, and the remaining openings played seem to remain more-or-less static, just varying in popularity, although General Queen's Pawn Openings ( ie not specific Queen's Gambits or English or often not with an automatic c4 ) seem to be on the increase at the moment. Counted in this ( General Queen's Pawn) are 'systems' such as the London or Colle, which I would think are often used by amateurs to cut down on amount of theory required: certainly that applies to me, as I have adopted the London recently. 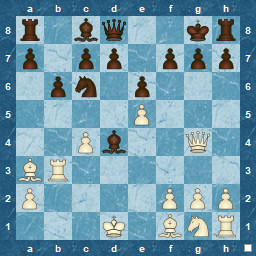 Other openings remaining most played are the Caro-Kann and French, from a Black point of view, and the English and Spanish from White's perspective. However, if you consider the most played move, then, technically, 1.e4 is the most used opening move with the reply of e5 just beating c5 followed by e6, c6, d6, d5. The Tromso Olympiad kicks off today, well at least the opening ceremony. The " live action" begins in earnest tomorrow. I will be paying attention to the top seeds, but will also be keeping my eye on the teams and players that I have a "soft spot" for. Of course, this will include The Netherlands ( especially the women's team and Lisa Schut ), and England ( it would have been great to see Jonathon Hawkins, the new British Champion playing ), plus smaller countries like Portugal and Mauritius, along with players like David Navara or Richard Rapport. As added fun, I have entered the Fantasy Chess Olympiad, as dreamed up and launched by Yorkshire Chess. I intended to do this last time around, but was just a little late. This year I am on time, and have entered two teams, one " favourites and emotional ties" , the other statistical. It will be intriguing to see the results ! Regardless, I am looking forward to some chess that is both entertaining and enjoyable, hopefully without too much politics. For Olympiad history and statistics, there is no better site than this to wander through. As a last minute update, I notice that Eva Repkova is playing ( for Slovakia ). Why the interest ? Well, with a bit of luck, she may play the Réti Gambit, which seems to be part of her repertoire, and holds illogical emotional ties for me !